If آپ didn't start shipping them from the very start (Silence in the Library/Forest of the Dead) which episode won آپ over? Which scene (tell in comments)? چنیں پرستار: I DID love them from the very start! 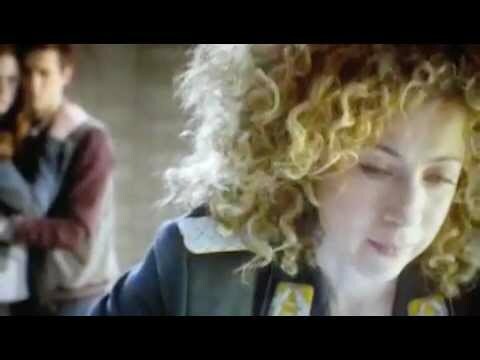 Do آپ think 'The Wedding of River Song' is going to about what it sounds like it might be about? چنیں پرستار: Yes. What else but a wedding between River and the Doctor could it be about? Now that آپ have seen much مزید of River and her relationship with the Doctor have آپ rewatched 'Silence in the Library' and 'Forest of the Dead'? Your response? چنیں پرستار: Yes. And my response to those episodes was so much مزید emotional. آپ think we need a new شبیہ and banner? The Doctor ran into the TARDIS, slammed the door shut and slid down to the floor exhausted. He should never have asked those sontarans who چرا لیا, چوری کی all their handbags. ‘Well, that was unsuccessful.’ He کہا lifting himself to his feet. ‘Doctor!’ someone was banging on the door. ‘Doctor, let me in!.’ He opened the doors to find River, shooting at a couple of sontarans before coming in, still firing. ‘Well shut the doors!.’ The Doctor did so. ‘Well, that was unsuccessful.’ She put her gun back in her belt. a poll گیا دیا کر شامل: Does anyone want a new icon? a comment was made to the poll: If آپ didn't start shipping them from the very start (Silence in the Library/Forest of the Dead) which episode won آپ over? Which scene (tell in comments)? a comment was made to the poll: Now that آپ have seen much مزید of River and her relationship with the Doctor have آپ rewatched 'Silence in the Library' and 'Forest of the Dead'? Your response? a comment was made to the poll: Wh do آپ prefer her with? How many times have the Doctor and River kissed? Who do آپ think she is?